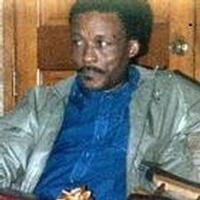 Danzel Lee Anderson, He was born May 15, 1941 in Gurdon Arkansas to Johnny and Mary Anderson. Danzel was a retired employee of Georgia Pacific Lumber Company. He was converted at an early age and joined Eastern Star Baptist Church in Smithton, Arkansas where he served as Secretaty of Sunday School. He departed this life on Tuesday morning at Baptist Medical Center in Little Rock, Arkansas. He leaves to cherish his loving memories: two brothers: Charles Anderson of Gurdon, AR and Thomas Anderson of Houston, TX. ; three nieces; five nephew, three great nieces, eight great nephews, one great-great niece, one great-great nephew and many relatives and friends.